The first time my co-worker and I had to go to New York for work, we anticipated running into a few different people. After a week in the city, we were somewhat relieved to find that we didn’t have any unwanted encounters. The next time that we went back, it was a little more interesting. We had stopped in a pharmacy on our way to the hotel after a long day at the office. As we were in line to check out there was a woman at the ATM machine in the corner of the store who just kept repeating “Nobody deserves to be lonely, nobody deserves to be lonely”. We think that she may have had a few drinks…but we weren’t quite sure. We just sort of looked at each other and went along our way. It has been over a year since that trip and the one really good thing that has come from it was the drink that I tried while we were there. It was amazing! 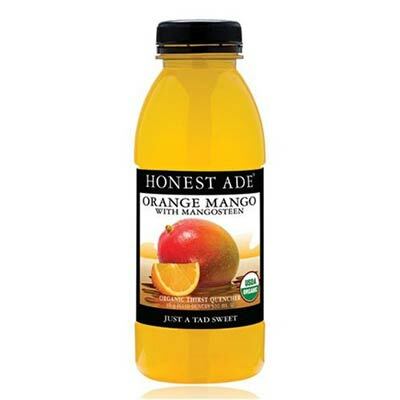 Not too sweet – not too much sugar – just great flavor. I have read into the company a little further and have learned that they stand for great things as well as making a great product. They believe in making tea with real leaves; unsweetened or use much smaller amounts of sugar, honey, or agave syrup than other bottled beverages; and all products are certified as meeting the USDA’s organic standards. They are also the 1st to make a Fair Trade Certified bottled tea; and more than ½ of their products are Fair Trade Certified. The bottles that they use are fully recyclable and require less energy to produce and ship, and they do not contain BPA. This is the same for all children’s drinks also. 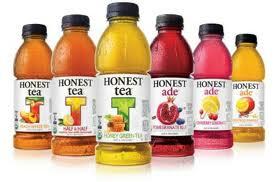 The next time you are looking for something with a great taste, less sugar, and good overall – reach for an Honest drink – an Honest Tea or Honest Ade. You can find them in local grocery stores, convenience stores, and online. 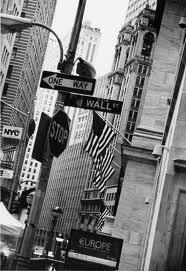 All of the ones that I have tried so far are just as good as the 1st one that I tried in New York.